The Seattle Neighborhood Greenways group, along with other members of the local community, has coordinated a Memorial Walk on Monday, April 1, from 4-5 PM. 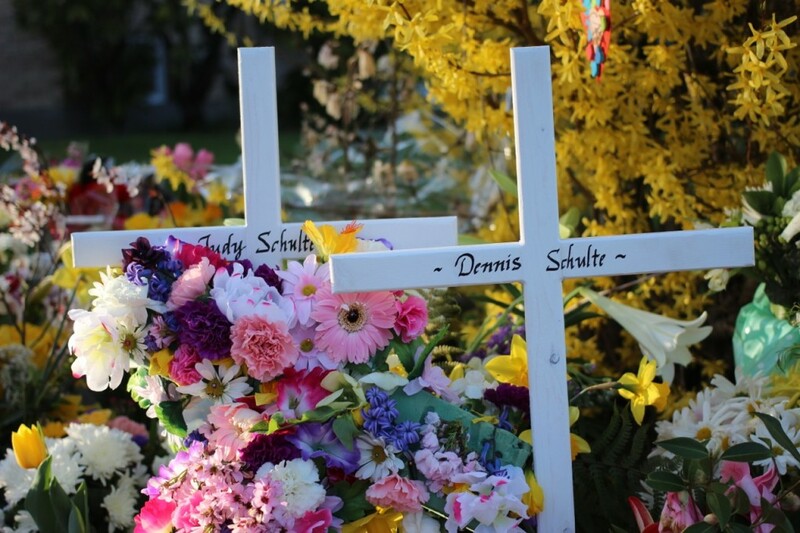 That date and time marks one week from the day that Judy and Dennis Schulte lost their lives while crossing NE 75th Street at 33rd Avenue NE with their daughter-in-law, Karina Ulriksen-Schulte, and her then 10-day-old son, Elias. Mother and son are still in critical condition at Harborview Medical Center. All four were struck by a drunk driver traveling over the speed limit westbound on NE 75th Street just after 4 PM on Monday, March 25. The circular walk will start and end* at Wedgwood Top Pot Doughnuts (6845 35th Ave NE), stopping at the memorial site in between. 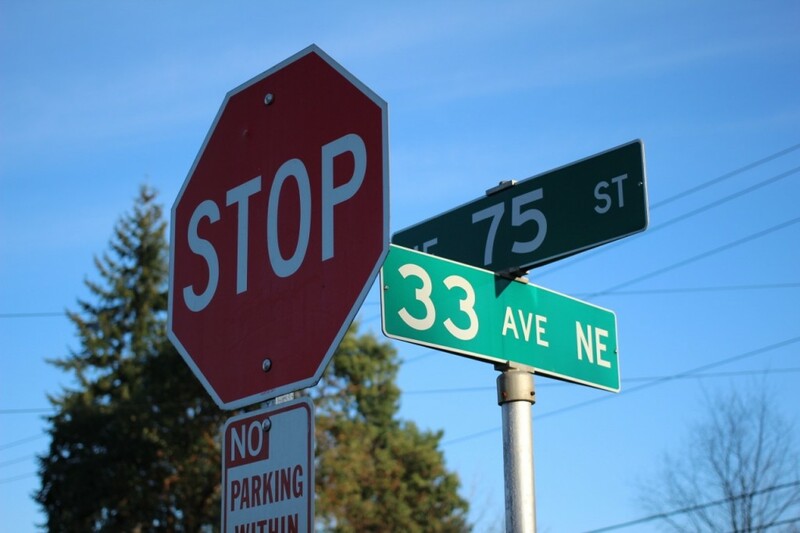 *UPDATE: The direction shown on the Seattle Neighborhood Greenways map may not be correct — The walk may instead start west on NE 70th Street, later mimicking the walk north along 33rd Avenue NE that the Schulte family made together. For those whom mobility is a problem, the plan as we know it is to be gathered at the memorial site (33rd Avenue NE and NE 75th Street) at 4:30 PM. You can bring flowers. Or bring canned food to leave at the site that will be taken to the University Food Bank. Dennis and Judy Schulte, who were killed on Monday, had a passion to provide food for at-risk children. A Facebook event page has also been set up. Mayor Michael McGinn will be participating in the walk along with several other Mayor’s Office and City Hall staff members. The Seattle Police Department will also be present. I have thought of and prayed for this family since I heard the awful news. Can you pls give an update as to how Mother and Baby are doing ? Have Karin’s family arrived from Chile ? The family has set up a public CaringBridge page where they have been posting daily updates, and that is where I have been getting my updates from. As for the family arriving from Chile, I am not sure if they have arrived yet. But I sure hope so. Mesothelioma types of cancer are classified as the types of cancer in which distribute inside the mesothelium damaged tissues. Mesothelium generally may be the title involving tissues in which types cellular lining of assorted physical structure parts similarity to cardiovascular system, as well as, tummy along with reproductive : internal organs. The liner about tummy internal organs is named peritoneal couenne. Cellular lining around bronchi referred to as pleural membrane layer whilst the lining around cardiovascular system is termed pericardium. Awesome, and its functioning? I got having all sorts of iSCSI time period outs whenever we improvedadvanced some sort of buddies things to five. zero… however it has been a young release regarding five. 0 possibly they may have given that repaired it.